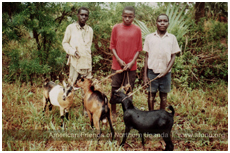 Purchasing Livestock Cows and goats produce gallons of milk a day—enough for a family to drink and share with neighbors. 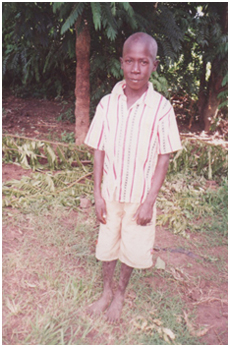 Sale of milk also earns money for school fees, medical expenses, and clothing. Furthermore, oxen till, prepare, and maintain vegetable gardens, and livestock offspring can be shared within the community. Providing Clean Water Dysentery, cholera, and other waterborne diseases carried through drinking water and are a primary cause of death for children under 10 years of age in rural areas like much of Northern Uganda. In the outskirts of Lira (including Adwila), children walk for three to four miles to get clean drinking water for themselves and their families. People are often compelled to drink from springs and other water sources shared with animals because resources do not exist to improve water supplies. Providing Mosquito Nets In Uganda, about one in four children die before the age of 5 due to malaria. In rural areas, it is more difficult to get treatment since health facilities are few and often distant. Because malaria must be treated quickly to avoid death, actual numbers of fatalities in rural areas are usually greater than the mean for the overall population. 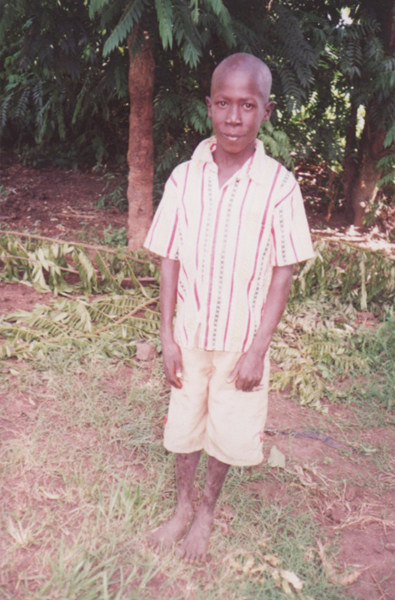 For example, in the area around Lira, malaria results in the death of about one in every two children. Education Sponsorship In Uganda, many students must pay tuition (much like if one were attending a private school in the United States). And, for children in Uganda, when they stop going to school, that is the end of their road; there is very little real hope of economic and social progress beyond that point. 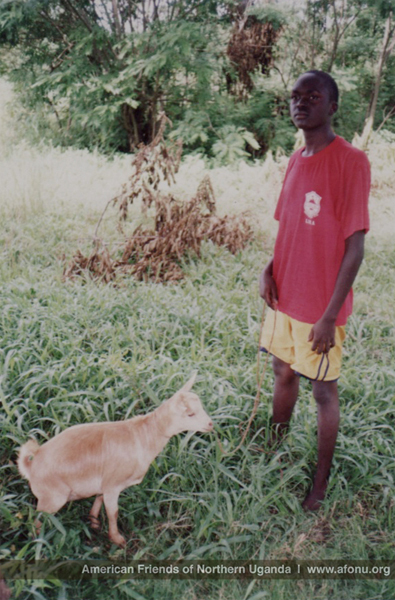 The village of Adwila is a poor community where the majority live as subsistance farmers with practically no income. The difficulty in obtaining an education is further compounded by an effect of the civil war over the past 30 years: a large percentage of children are orphans whose parents have been killed. Children in this situation typically fend for themselves, with the oldest sibling of a family acting as the head of the household—often at shockingly young ages. 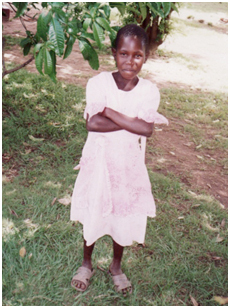 Children in Adwila that are able to attend school typically walk about 5 miles each way to attend classes. Emergency Food and Medical Treatment Because most of the members of the village of Adwila are subsistence farmers, their food supply is sensitive to weather events and factors of climate. Food security is a real issue for people there, since if there is no rain, there is no food. A season of drought can leave hundreds of people that normally live on about one meal a day devastated and starving. Furthermore, people are so poor that they usually avoid medical treatment when they are ill, sometimes resulting in serious medical and life consequences. 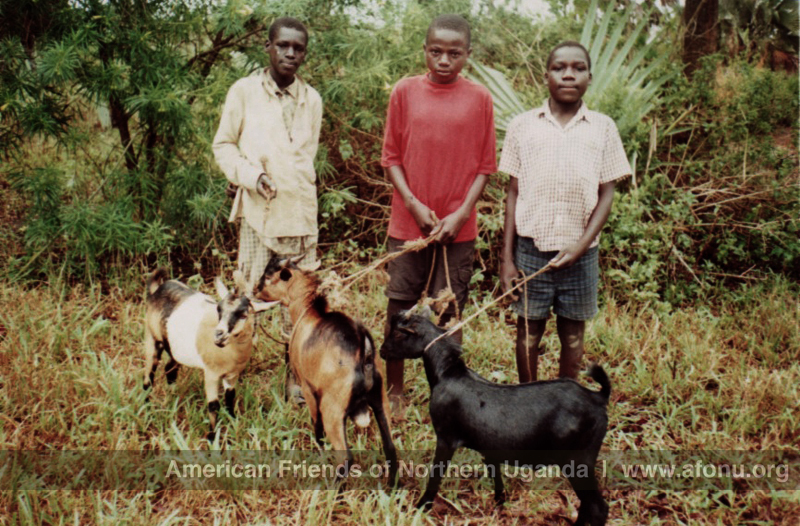 For more specifics on what AFONU has done to help residents in Northern Uganda, have a look at the images on this site. Also, check out our YouTube channel for a video of a completed water source improvement project that AFONU completed. About $100 will buy a calf for a family. About $150 will buy a full-grown milk cow. About $200 will buy a full-grown bull. About $50 will buy a goat. About $10 will buy a duck for eggs and/or meat. About $4 will buy a chicken for eggs and/or meat. A mosquito net costs about $10. Tuition at a kindergarten-level school for one child is about $100 per child per term. Tuition at a primary-level school (age 6-12) is about $135 per term (three terms) for one child. Tuition at a secondary-level school (age 12-16) is about $145 per term (three terms) for one child. Tuition at a high school (age 16-18) is about $155 per term (three terms) for one child. The things listed above are small, but they go a long way to making a real difference in another's life. Press the "Donate" button above to make a credit card or PayPal payment. Checks can be mailed to AFONU at: 114 Aspen Court, Marlton, NJ 08053. After making a donation, you'll receive a receipt for your donation.